Charlottesville, Virginia: According to a new report from CIR, a leading optical networking industry analyst firm, the market for optical video extenders will reach $2.7 billion by 2022, compared to about $120 million now. CIR sees the main driver for this growth being the rise of 8K television and 8K professional video, both of which will become popular in the next two years or so. In addition to optical video extenders, this report, “Optical Interconnects and AOCs for Consumer Electronics and Professional Video Applications: A Market Analysis,” also analyzes the opportunities for active optical cables (AOCs), field-terminated optical links, and application-specific optical links in 11 different consumer and professional applications. In total, revenues from all these products are expected to reach $7.0 billion. In the past few years, we have seen standard HDTV be replaced by 4K resolution. CIR believes that 8K resolution will be the next big thing. 8K is already widely used in video production and 8K televisions were featured prominently at the 2017 Consumer Electronics Show in Las Vegas. CIR expects 8K television to be widely available in retail outlets in 2020. However, transporting 8K video signals over more than a few feet cannot be achieved without optical links. Widespread 8K video deployment will significantly boost demand for the kind of optical interconnect product on which this report is focused. These new consumer interconnect products will most probably use optical HDMI 2.1 (48 Gbps) and Thunderbolt 3 (40 Gbps), which have data rates that can easily support 8K video streams. Nonetheless, CIR believes there are significant risks associated with the emerging optical interconnect business. While consumers and professionals quickly switched to the 4K HDTV format, there is no guarantee that they will switch as fast to 8K video, particularly as the difference between 4K and 8K can only be seen when viewers are close to the screen. Adding to the uncertainties here is that propensity of the consumer electronics industry to have massive fails, such as the recent 3D fiasco. A discussion of how the use of Thunderbolt 3 and HDMI 2.1 will satisfy the requirements for 8K video, creating new opportunities for existing manufacturers of active optical cables and optical video extenders, as well as value-added resellers and start-ups. A detailed ten-year market forecast of unit sales and revenues of this kind of optical interconnect with breakouts by application, product type, data rates supported, protocols/connector types, cable length, media type (MMF, SMF, POF) and end-user geography. Analysis of supply chain and marketing strategies for optical connectivity products in non-data center markets. 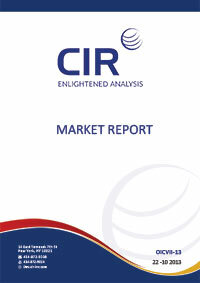 In particular, the report provides guidance on the pricing strategies, retail channels and market messaging which will be necessary for success in the markets considered in this report. Profiles of the activities of the leading suppliers of non-data center optical communications including Apple, C2G, Chromis, Corning, Cosemi, Dell, Gigalight, Intel, Luxtera, Mitsubishi, Sumitomo Electric Industries. In this analysis we cover established players, emergent Chinese vendors and the latest innovators, along with providing quantitative market shares of the AOC market leaders.